Deciding whether to renovate or sell up and move is one of the great real estate conundrums. 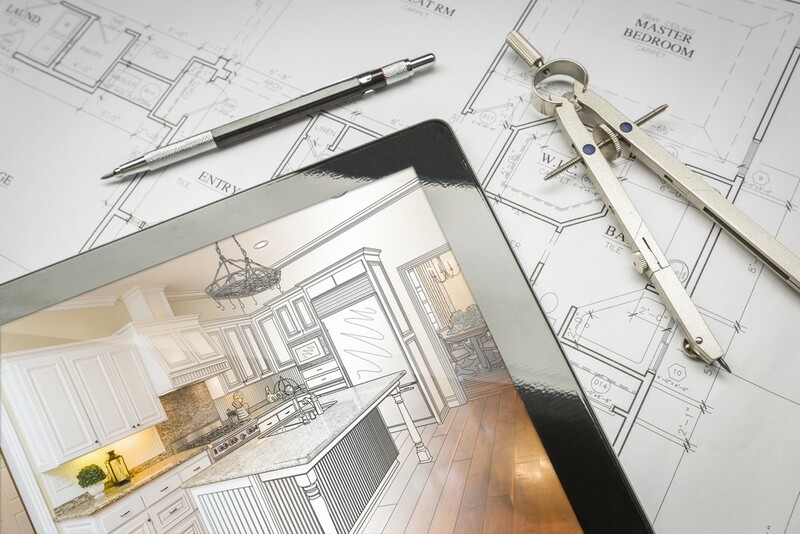 The choice between renovating an existing home or upsizing is a decision that the majority of homeowners may need to contend with some stage. The choice itself is complex and once you ask the question you open up a pandora’s box of options, costs and benefits. The amount of money that could potentially be spent on a renovation or new home respectively can seem unbounded when you start to research. Having a proper understanding of the costs and work involved with each option can make the decision much easier. This article will also show you an easy method to weigh up your options. Deciding on the type of home you need in terms of amount of accommodation, style and layout is probably most important. Then you need to decide where you would ideally like that house to be. If you absolutely love the street or area that you currently live in and have the space to extend, then you should definitely explore the renovation path. Once you have properly nailed down what isn’t right about your current house, it’s time to start to plan solutions to the problem. Luckily there are a number of professionals that you can consult with to assist in getting this right. Don’t shy away from this. Investing some time and money into getting expert advice and constings around any plans you have will save you money later – one of the biggest dangers that renovators face is costs that spiral due to unforeseen complications and delays. Building inspectors, builders, electricians, engineers and architects can all give you advice in this regard. How much is too much to spend? It is important to ensure that you are not over-capitalising on any renovation works you undertake. What does this mean exactly? Well, it is safest to not spend more money in total than you would be likely to get back if you had to sell the home tomorrow. This is where it would be helpful to consult with your local estate agent during the planning process. The majority of agents will offer this service free of charge and be more than happy to assist you in the decision making process. Here is a worthwhile exercise that you can do if you find yourself stuck between deciding to renovate or upsize. Add these two figures together. This is the value of a home that you could trade across to for the same price as the renovation. You will also need to factor transaction costs such as stamp duty and agency fees into this calculation to get a more accurate picture. Now, ask your local estate agent to send you a list of every home that has sold in your suburb in this price range for the past year. Have a look at these homes and weigh up whether a renovation is necessary or if you would be better positioned if you had purchased one of these homes. If you absolutely love the street you are living in and you have the space to extend, then it is probably worthwhile exploring the renovation path. But a large-scale home renovation project isn’t for everyone. Interestingly enough we recently sold a home for a client who was facing this same issue. This particular client was an architect and didn’t want to leave the street they were in. Even though they had completely planned their renovation and had their plans approved by council, they chose to purchase a different home in their street through our agency off market. That was a pretty interesting decision, I thought. Surely an architect would have the desire and skills to renovate their own home – more so than your average homeowner. In this case, they were renovating an old period home. So the demolition work needed to get the floor plan they desired was extensive. Also, it was possible for this client to project manage the entire project herself, given her skill set. This would have saved a substantial chunk of money during the renovation. However the opportunity cost of missed work was too great compared to the money they would save. So, with the prospect of an expensive, time consuming renovation and extension, this client decided to upsize. Renovating is a fantastic way to add value to your home and create a space that works for your family in a location that you love. But it isn’t for everybody. Luckily there are so many resources and professionals available now to provide advice for anybody who is thinking about taking on a project like this. Ultimately the most important thing to consider what is most appropriate for your own situation and which course of action will get you to where you really want to be.